PJ Masks will be performing their Hero Moves live at Camp Bestival! In this 20-minute interactive and active session, mini heroes will join Catboy, Owlette and Gekko as they learn super moves, and train to be a hero just like the PJ Masks! Together, they'll practice how to run at Super Cat Speed, perform Owl Wing Wind and show off their Super Gekko Muscles. PJ Masks is a show about heroism, only our superheroes are kids! By day, 6-year-olds Connor, Amaya and Greg go to school like everyone else. But when something goes awry in the city, these special kids, filled with curiosity and a sense of justice get ready for their mission. 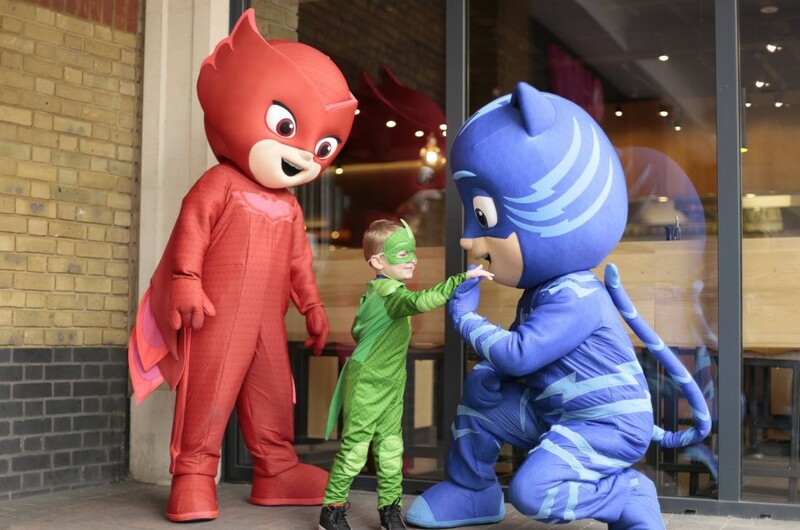 As night falls and they put on their pyjamas and activate their animal amulets, they magically transform into superheroes - Catboy, Owlette and Gekko and become the PJ Masks! Together these three embark on action-packed adventures, solving mysteries and mayhem across the city. Watch out night-time baddies – the PJ Masks are on their way, into the night to save the day!